Ursodiol for dogs and cats can restore healthy liver function in pets suffering from liver and gallbladder diseases. Ursodiol is only available by prescription from your veterinarian. It is not FDA approved for use in dogs and cats but it is a common practice to administer. Ursodiol actually promotes regeneration of healthy liver tissue, and even wards off other major health issues. 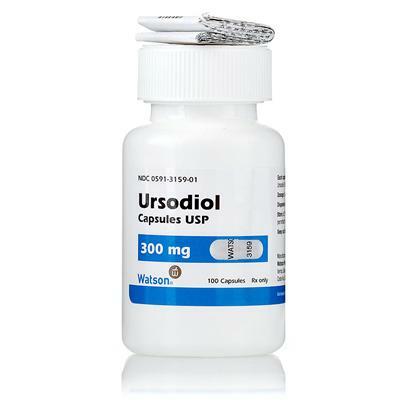 Ursodiol is the Generic Alternative to Actigall. If your dog suffers an allergic reaction such as hives, swelling of lips, tongue or face or difficulty breathing seek immediate emergency veterinary medical attention and discontinue dosages. Other less serious side effects may occur such as nausea or upset stomach, diarrhea or headache. If these, or any other side effects seem unusual or bothersome to your animal talk to your veterinarian. Antacids or any medications including aluminum may cause Ursodiol to be ineffective. Estrogen increases cholesterol counteracting the effects of Ursodiol. Contact your veterinarian if you add any other medications or supplements to ensure it will not inhibit or negatively interact. Ursodiol, Colloidal silicon dioxide, magnesium stearate and starch (corn). Gelatin capsules contain gelatin and titanium dioxide. The capsules are printed with edible ink containing black iron oxide. The amount of Ursodiol prescribed depends upon the severity of your pet’s illness. Follow dosage prescribed by your veterinarian and allow for plenty of water for your pet to intake upon ingesting.